Whether it’s by boat, plane or train, choose where $10,000 would take you and make your day dreaming a reality with this prize in your back pocket! Each lottery is limited to just 5,000 tickets so your chances of claiming $10,000 are higher than ever! Congratulations to our latest winners from Lottery 0005! Lottery No. 0006 is NOW OPEN – get in quick! 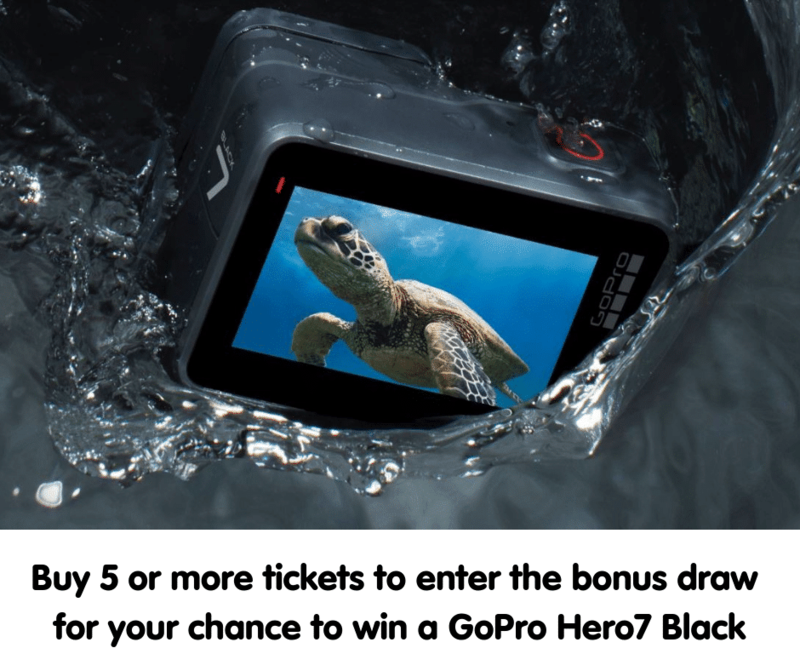 Buy five or more tickets and you’ll be automatically entered in our bonus draw to win a GoPro Hero7 Black. Your chances in the bonus draw increase with every five tickets you purchase (e.g. 5 tickets = 1 bonus draw entry, 10 tickets = 2 bonus draw entries). The bonus draw prize changes each lottery so check back regularly. Join the Variety VIP Club and you’ll never miss a draw. You’ll be automatically and conveniently entered each month, into four draws a year, with no lock in contracts. VIP members will also receive automatic entry into two exclusive VIP draws. 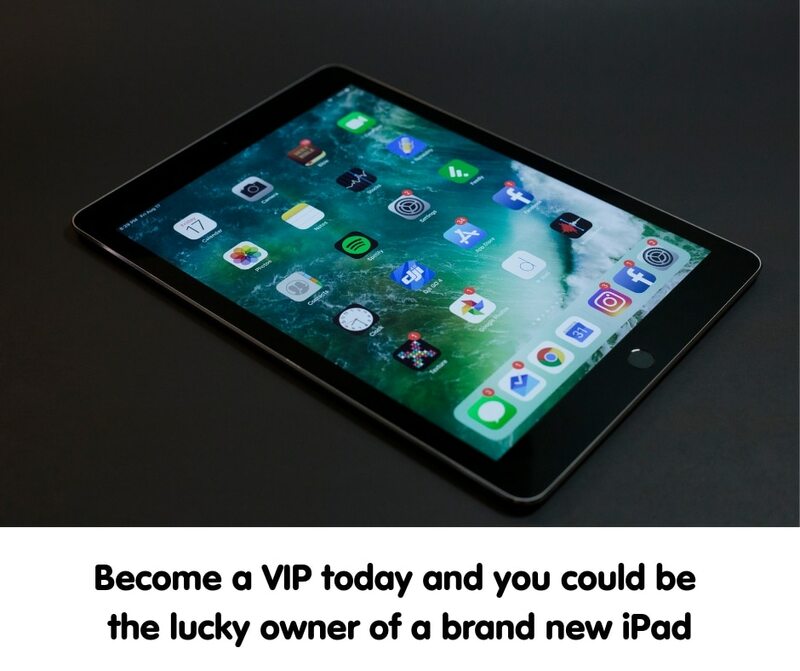 The next VIP draw will take place on Friday 20 September, 2019 and the winner will take home a brand new iPad! Get in quick, only 5,000 tickets per draw! At Variety – the Children’s Charity, our mission is to help children attain their full potential regardless of ability or background. Our work allows children to gain mobility and freedom, get out and about in the community, communicate, achieve independence, increase self-esteem and integrate into mainstream school and activities. YOU are helping to empower more Queensland kids by purchasing tickets in the Variety Heart Lottery! Thanks to your help and that of dedicated supporters, Variety is able to offer equipment, programs and experiences that empower kids to do what they do best – to be kids. Wayne and Janitta were thrilled by the win which comes just in time for their overseas trip and marriage in Vegas – complete with an Elvis of course! After over 20 years on the Variety Bash, Laurie is a big believer that “it’s all about the kids”. He’s excited to invest the win back into his new Bash car. Variety – the Children’s Charity of Queensland conducted their largest ever lottery with the prize being a Toyota Prado plus a Yamaha WaveRunner and trailer, making it the ultimate luxury escape. Sign up to our Lottery Newsletter and get all the latest news in your inbox! In 2018, Variety – the Children’s Charity supported 6,550 Queensland kids to achieve their full potential through more than $1.2 million in grants for equipment, therapy, services and life experiences. Annika lives with quadriplegic cerebral palsy, causing her continuous and debilitating back pain and increasingly restricted ranges of limb movement as a result of long periods spent sitting or lying. The help Annika needed most was a specialised powered wheelchair, with a standing function to regularly move her young body, help reduce back pain and give her more confidence by providing life-altering physical therapy benefits and freedom. Noah was born with a congenital disease that affected his right forearm. Noah received a prosthetic arm when he was younger through Variety, which has enabled him to thrive in both his education and swimming. Noah’s dream is to compete in the Tokyo 2020 Olympics. Noah was later awarded a Variety Heart Scholarship to support him in achieving this dream and has since been selected for the Para Development Squad.